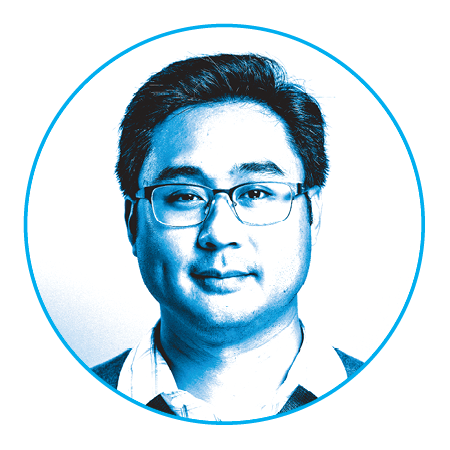 Sales is an assistant professor in the College of Engineering and a member of the research team at the A.J. Drexel Institute for Energy and the Environment. Assistant professor Christopher Sales is using algae’s symbiotic relationship with bacteria to remove excess nitrogen from water — a process that could aid municipal wastewater treatment plants. In 2006, Sales and a colleague from the University of Pennsylvania first developed a high-density bioreactor to cultivate a dense mixture of microorganisms — called activated sludge — which is used to remove oxygen organic carbon compounds from wastewater. Since then, Sales and his lab at Drexel have added algae to the mix to improve the reactor’s nitrogen-removal capabilities. This development is significant because today’s predominant nitrogen-removal techniques are multi-step processes with long waiting periods. 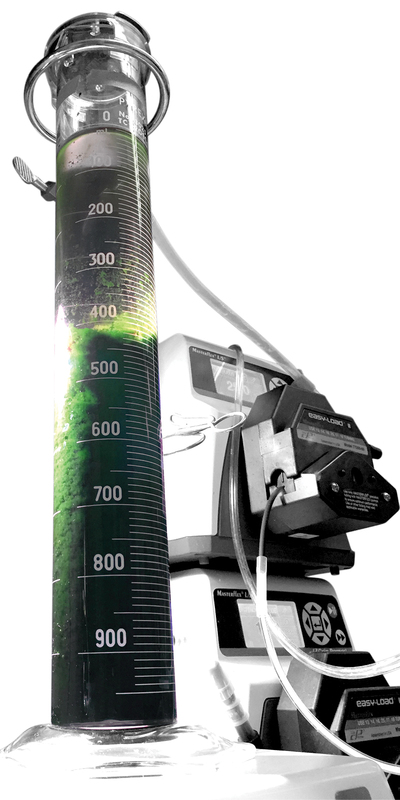 By contrast, Sales’s bioreactor works by continuously cycling water through an algae and bacteria-laden environment, almost like a biological filter, removing nitrogen by storing it in algae that can be easily separated from water in their new reactor. The system can remove up to 80 percent of nitrogen from a waste stream, according to data Sales reported in the Journal of Visualized Experiments. The system does not require settling tanks because the flow of the reactor is designed to naturally promote settling of biomass. This separation, Sales speculates, could one day make the algae cultivated in these bioreactors an appealing source of biofuel feedstock by reducing the amount of energy required to dry the algae biomass. The lab-scale prototype resembles an elaborate chemistry experiment — which it is, essentially. Wastewater enters the bioreactor with high concentrations of ammonia and nitrate. Inside, 350 different species of microbes either metabolize ammonia to nitrate or convert dead algal cells and algae byproducts into carbon dioxide. The algae use the carbon dioxide and a combination of ammonia and nitrate to grow and perform photosynthesis, which, in turn, produces oxygen that helps the bacteria thrive. Thus the cycle removes nitrogen from wastewater while also growing a healthy crop of algae and bacteria. The algal biomass can then be recovered as a product and used as a source of biofuel.